After a long drive home yesterday, I definitely didn’t have enough energy to write a post last night. I expected some traffic coming home on Memorial Day and I got it, but it wasn’t in an area where I expected it. The I-10 between Palm Springs and Banning was a parking lot and I’m still not sure why. Otherwise, the areas I would have expected to be bad (the 91 and the 60) were wide open! 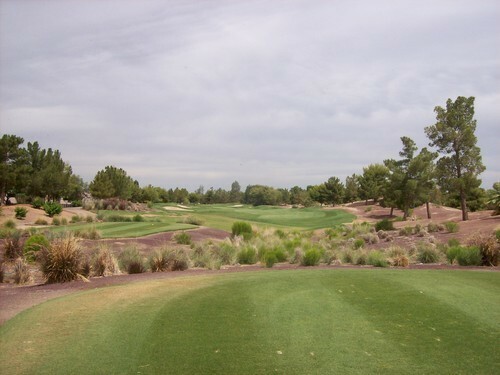 This was a course that was high on my list to play this weekend. It was another one that was on my OB Sports discount card. Plus, being in Phoenix it was taking me back in the right direction toward home. Though I would have loved to play another 36 yesterday, I knew that would be a bad idea with a long drive home ahead of me. I teed off at 6:48 for a nice $40 rate and it was worth every penny. The first group went off at 6:30, so I was in the third group out. 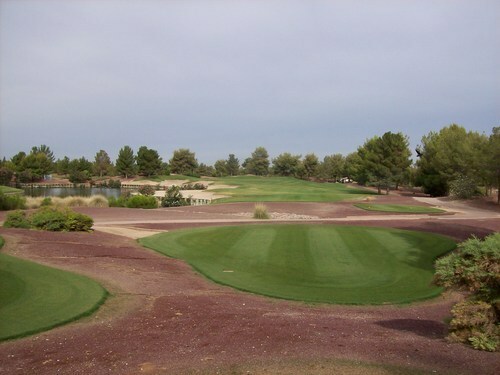 I was paired with a really fun couple from Vancouver who knew the course and come down to Arizona a lot for golf. 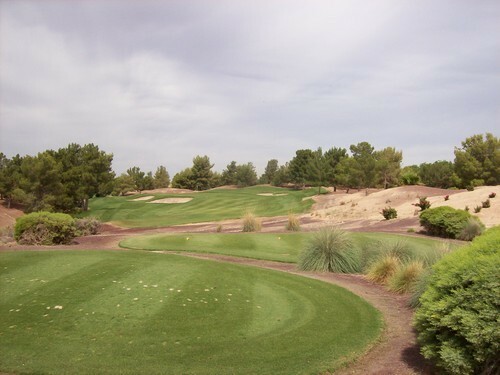 They were telling me about all the great courses throughout the valley, so I now really have a big wish list to keep me busy the next few visits out there. The groups ahead of us were not setting a super quick early morning pace, but we still did fine in just over four hours for the round. 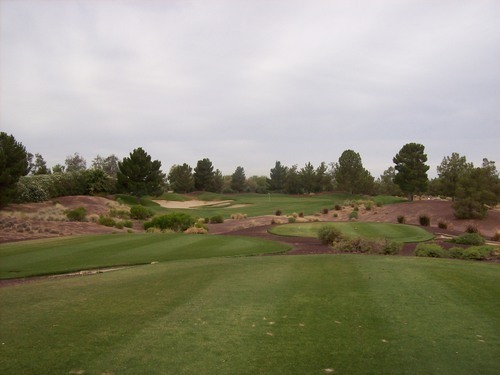 In my rounds Saturday and Sunday, I had already experienced a great range of diversity in terms of course designs, scenery and styles. 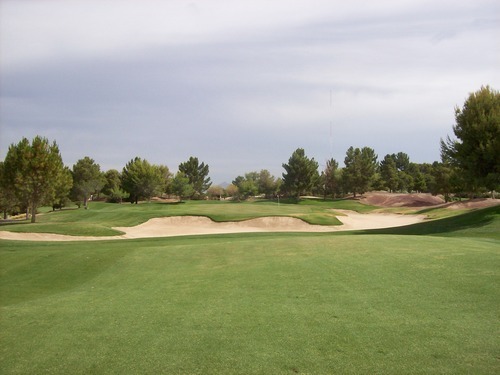 Raven continued that trend with a very unique setting that stands out from most Phoenix area courses. 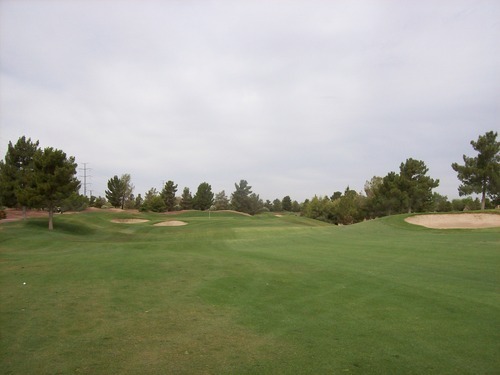 There are a lot of desert pine trees on this particular property. There are no cacti and the desert waste areas here are lined with a crushed red rock/sand that provides an interesting contrast. It felt more like I was in the Sierras or a more volcanic region than in the Arizona desert. 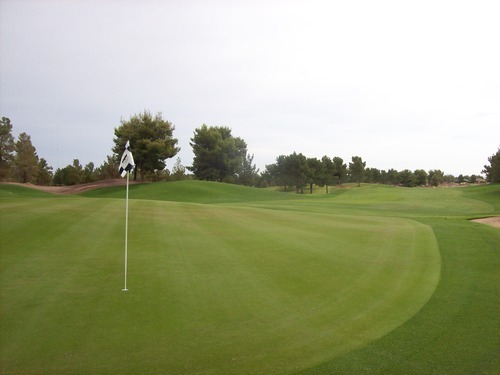 The course is intricately landscaped with clear distinction between fairways, cuts of rough and then the surrounding rock/sand areas, which were more aesthetic than in play on most holes. 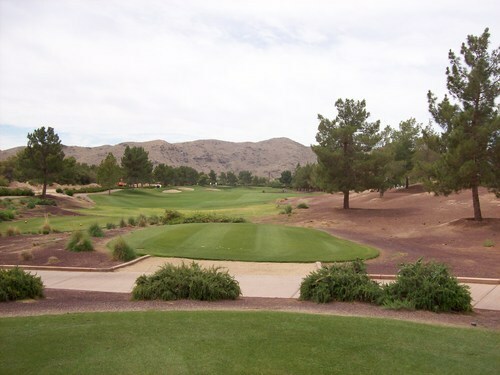 Like a lot of nice desert courses, the tee boxes were individualized patches of green grass surrounded by the rocks and sand. They look really nice here and were in immaculate shape. 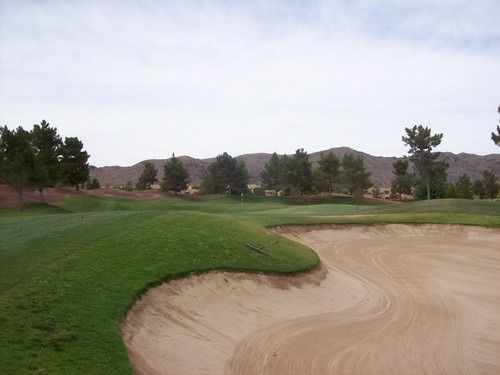 There are some massive sand traps at Raven. Until you get right up on some of them, you have no idea how huge they are. Water also comes into play a number of times. 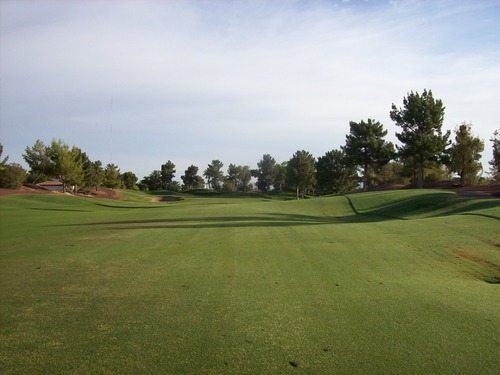 One of the most notable holes is the par-3 7th hole which is a long hole. 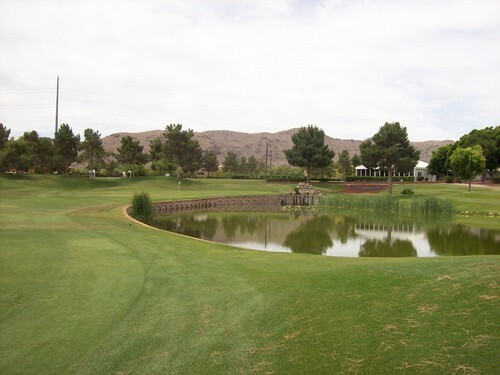 Water is left and then there’s a gigantic bunker in between the water and the green. With the back left pin placement they had yesterday, it was especially long and tough. It’s a beast. 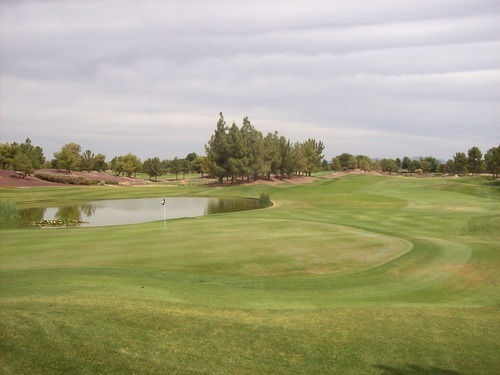 The 8th and the 18th are two other great holes that bring significant water into play. The course was mostly in fantastic shape, but the greens were awful. As noted, the tee boxes were immaculate. 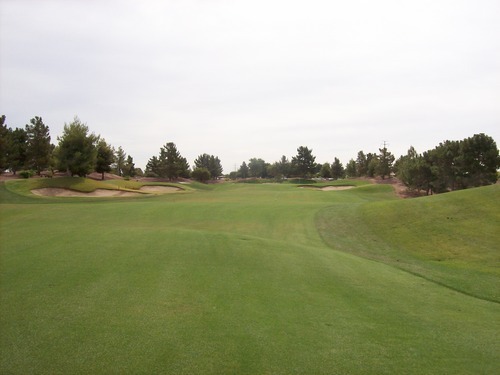 The fairways and rough were very lush and quite green—perfectly cut and well-manicured hitting surfaces. 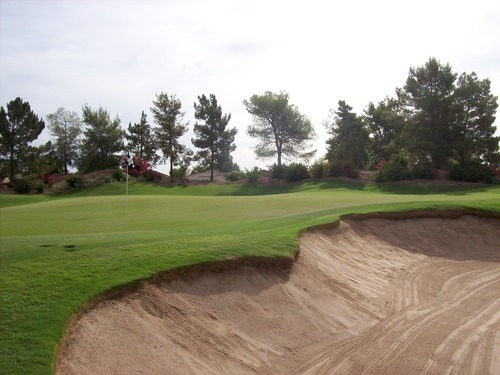 The sand traps were good. Unfortunately, the greens were not looking good. 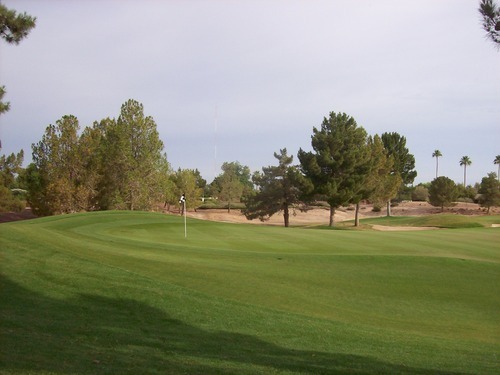 They are definitely in mid-transition right now from winter to summer grasses on the greens. I can understand that and it’s clear to see that in the “good” areas of the greens. But other parts looked more diseased with really bad patches found on every green. They were bumpy and ugly. 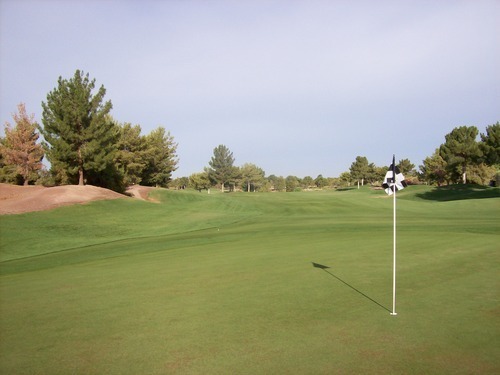 The greens were quite soft and receptive, though, which was a change of pace after a lot of firm surfaces the rest of the weekend. 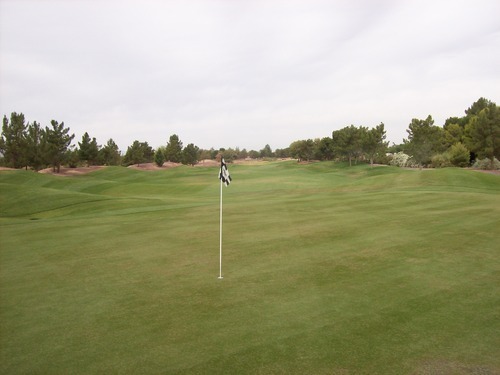 As a result, though, there were also a lot of old and unrepaired ball marks to add even more bumps and bruises to them. 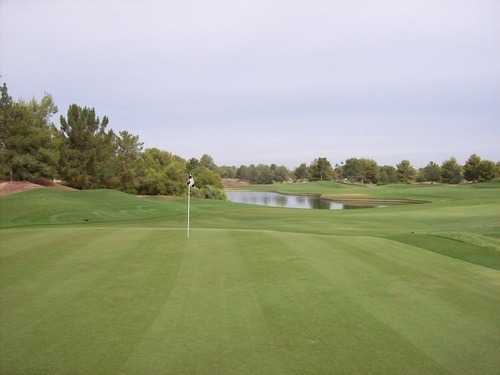 With the exception of the greens, the course was in excellent condition and it was actually my favorite on this trip. I enjoyed the layout and landscaping. It’s not a super tough course, but it’s not easy either. I would consider it a very “fair” design that forces some strategy and shot-making. It’s forgiving at times, but can punish you at others. 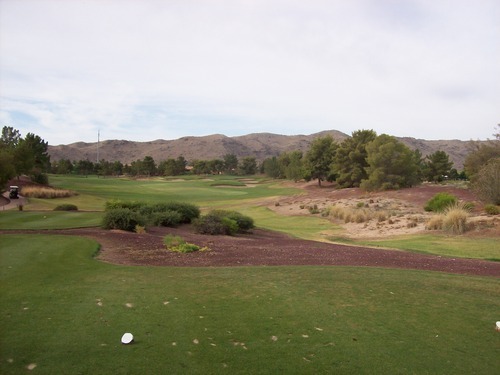 I also played my best round of the weekend at Raven, so that helped leave a positive impression. It was a great way to end a fantastic Memorial Day holiday weekend in Arizona. I can’t wait to go back out there again. 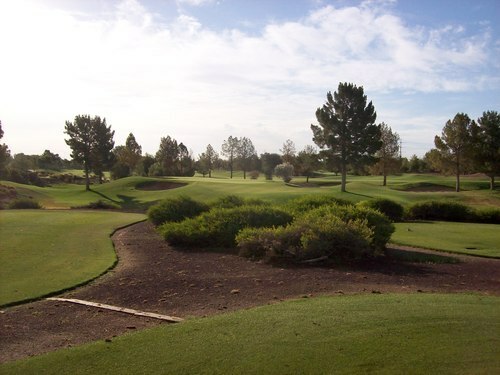 There are still many courses I can get good discounts at with my OB card and there are so many incredible courses in the Phoenix area I still want to play!